There are many mountain ranges in the world that will capture you once your eyes fall on them. One of these catchy mountain ranges is Atlas Mountain. It is so great and very eminent range that many people astonished once they saw it. Atlas Mountain is the most famous and common in all Africa and the Arab world if not in the world. It had been all over the years and centuries a destination for tourists. You will admire it without any doubts, just visit it and you will see yourself how amazing and captivating it is. 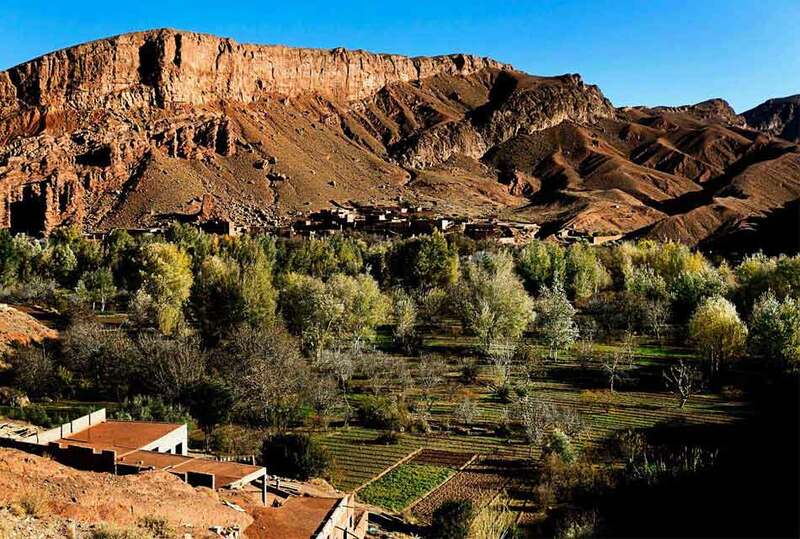 Atlas Mountain is a mountain range in the Northwest Africa. It is so long and extends in three countries. The three countries are called Maghreb, which means the countries west to Egypt. They are Algeria, Morocco and Tunisia. Its extension is 2.500 km through the three countries. They separates the coastal lines of Mediterranean and Atlantic Ocean from Sahara desert. This range comes in Morocco and we can observe three sub ranges in Morocco, namely High Atlas, Middle Atlas and Anti Atlas. 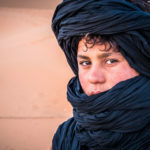 In addition, we in this article will discuss in details the High Atlas Mountain. 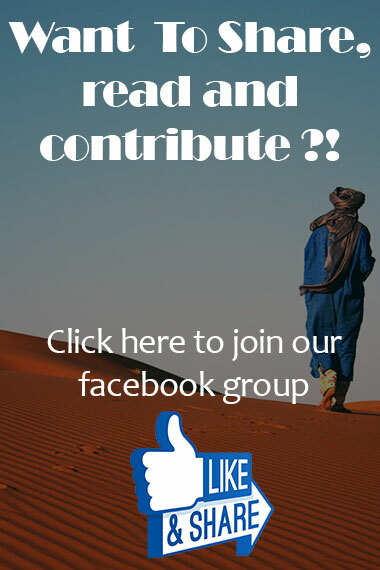 It extends in central Morocco. 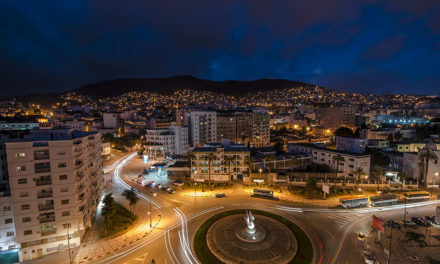 One of its end overlooks Atlantic Ocean and the other one overlooks the borders between Algeria and Morocco. Therefore, it crosses the whole width of Morocco from east to west. 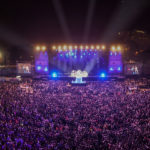 Therefore, we can see that it is represent a physical barrier that separate Morocco into two halves. The first or the north half is coastal cities and plains and the second half or the south half, called pre-Sahara desert which is the third largest desert in the world. 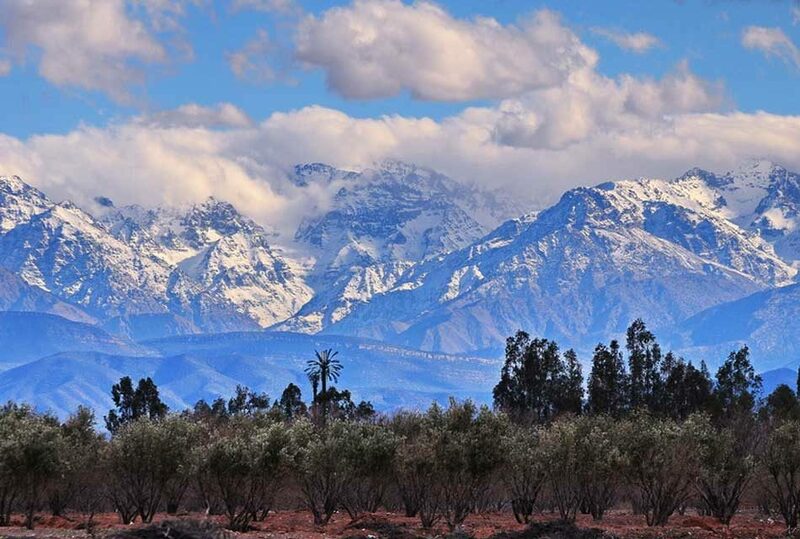 To the northwest of it, Middle Atlas Mountain lies and to the southeast of it, Anti Atlas Mountain lies. 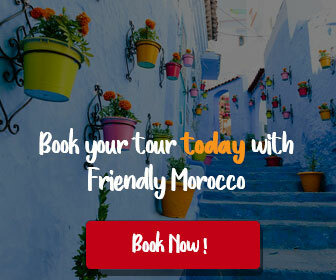 Once you are on the top of High Atlas Mountain, you will be able to see all Mountain ranges in Morocco. What a beautiful scenery! 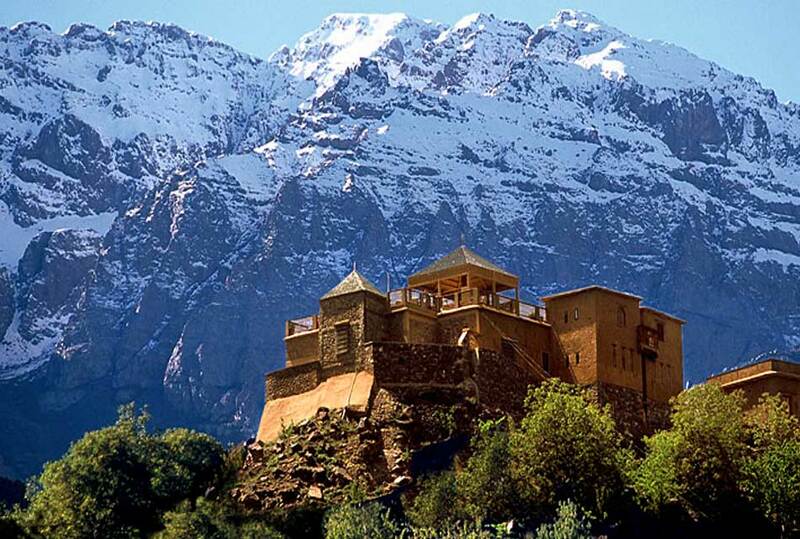 It has the highest peak in Morocco and in the Arab world, “Jebel Toubkal” that is a 4.165 meters above the sea level. What a height! 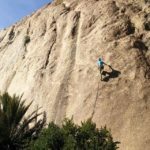 If you have not climbed it, I recommend you to try. You will be so proud of yourself and will prove that you can make the impossible. Many valleys cut the range as Draa Valley. 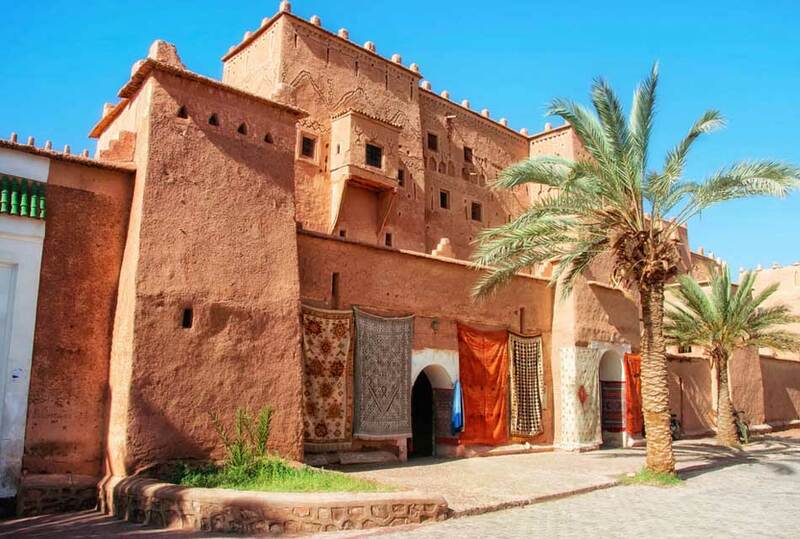 It is considered as one of the finest mud-constructed buildings in Morocco. It is one of the most astonishing Kasbahs in the whole country. It is UNISCO world heritage. Its beauty and architecture even had charmed Hollywood for decades to film many movies in it as Gladiator, Lawrence of Arabia and Jesus of Nazareth. 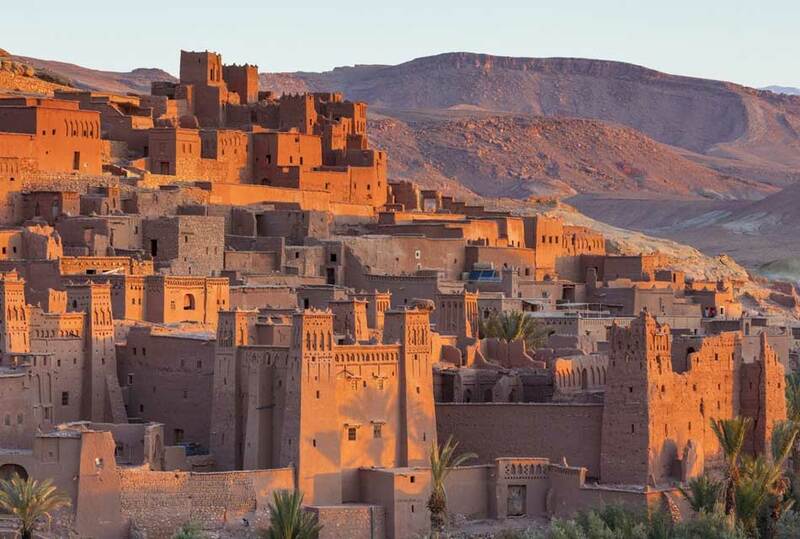 Once you are on the top of this Kasbah, you will get panoramic view across the village. It is just 30 kilometers from Ourzazate. 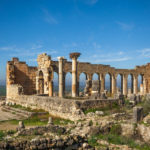 The town that is surrounded by many astonishing landscapes that also charmed Hollywood to take some scenes as Alexander the Great. 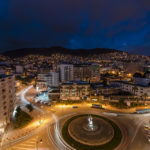 It has magnificent Kasbah called Taourirt, which is a historical place that had been housed by Glaoui family, and it is a very attractive sightseeing. 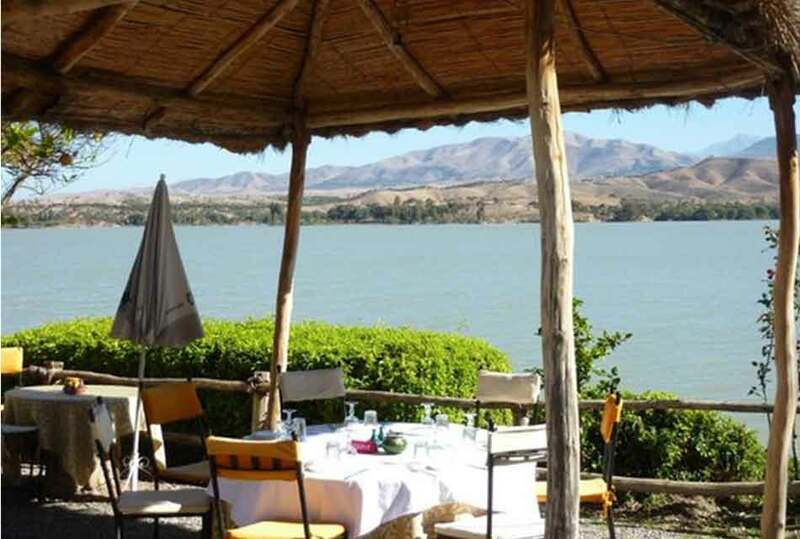 Most of excursions are done from this town to High Atlas Mountain. 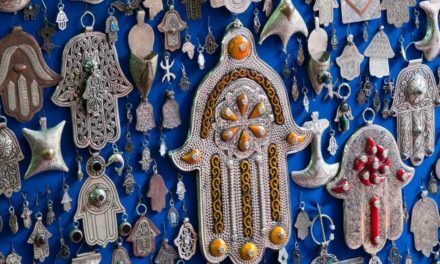 The weekly Sunday Market is a very popular and fantastic event at which many products and great, skillful craft-works are exhibited. You can buy many souvenirs from there and gifts for your family and friends, wonderful ones. 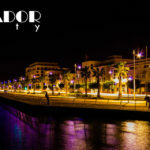 The town, which is main destination for the trippers from Marrakech. 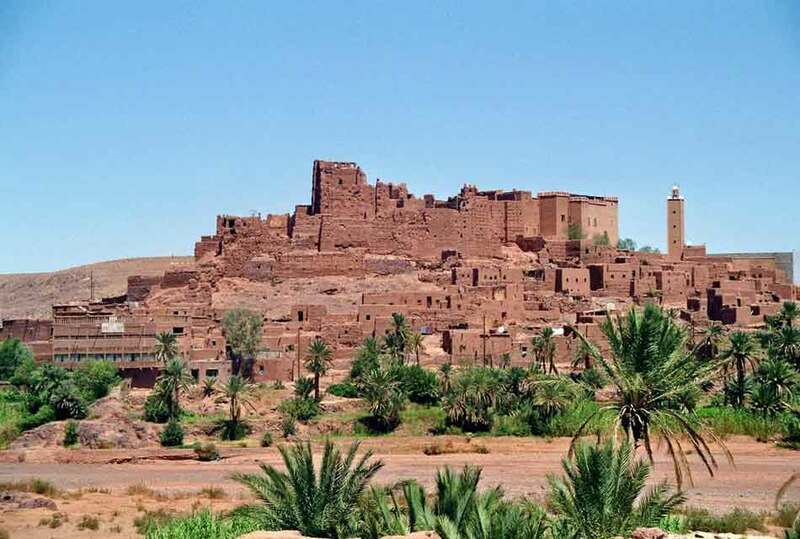 Its Kasbah medieval-style castle was the base of Glaoui family. There are many activities can be done in this town. Such as, excellent 4WD and hiking to Ounila valley. 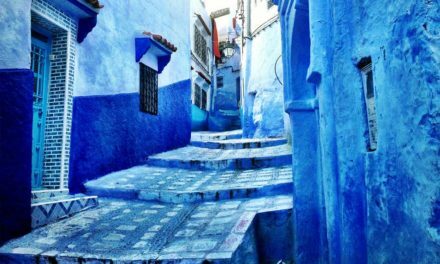 You can explore many traditional astonishing villages beside Mellah River and to know more about the culture and history of the country. 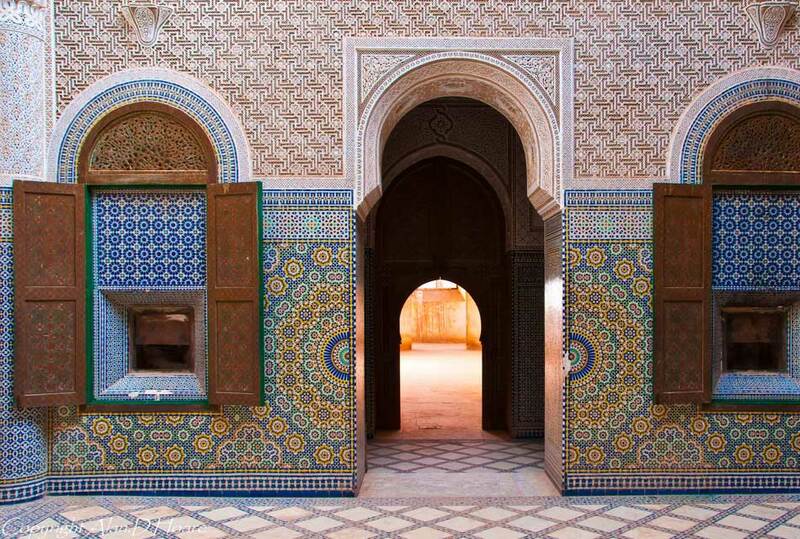 This is an astonishing Kasbah. It is mud brick fortress. When you get to the top of its tower, you will see the nests of strokes and you will get amazing views in which taking picture will be the best choice. 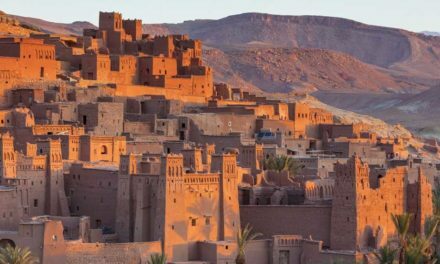 You can go on trip from Ourzazate to Tifoultoute to Ain Ben Haddou, and that will make you discover more about the architecture of the High Atlas Mountain. It is one of the best natural sightseeing in the whole country. 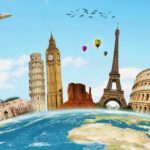 It is a wonderful destination for local tourists and foreign travelers. Many cascades will undoubtedly charm you in seconds. 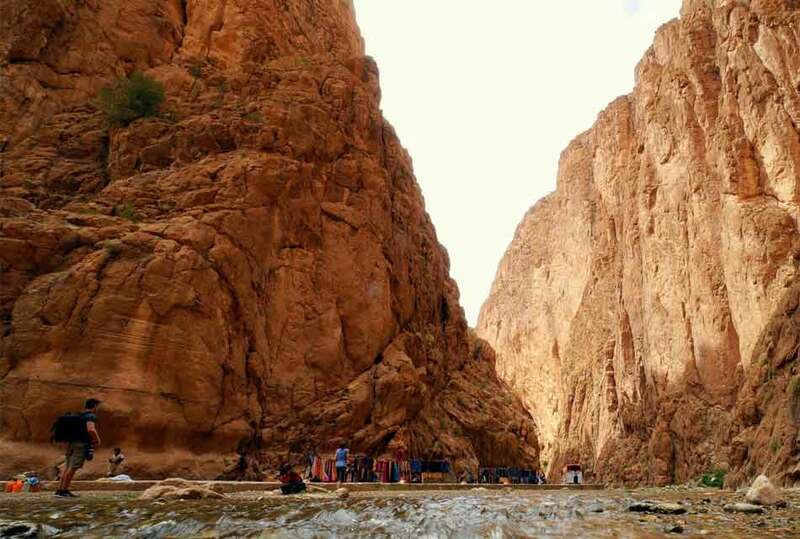 It is known that cascades had been the best scenery in the world and those in Ouzoud are the best among them. They are full of green lands and many beautiful animals and birds. It is as you are in small heaven. If you are one of those, who love hiking and walking, Dades valley will be the best destination for you. Because it is full of weird irregular rocks and many empty roads that attract people to fall in love with trekking. 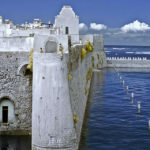 There are also many villages that will charm you as El Kelaa M’Gouna village, which is the center of the growing rose. Just imagine what it will look like if you are there in the spring among all those blooming flowers it will the best view you will ever have. There are also the best-made daggers in a village called Azlag. There is also a delightful Kasbah. 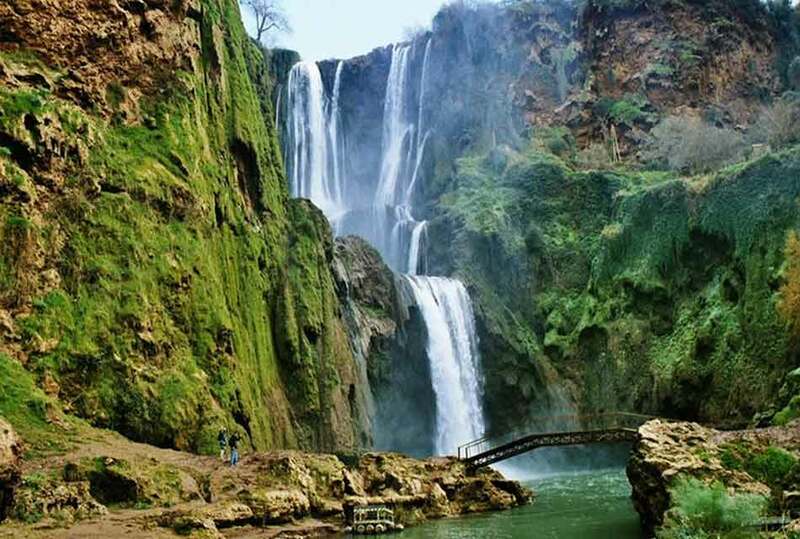 The main activity attract tourists and people to High Atlas Mountain. It is exciting activity to do. The motives behind doing such sport are various. It may be for fun or they want to prove for themselves something, as they can make impossible. Many specific places from which you can do this sport provide facilities, tools and trainers to take care of you. After you climb the mountain, you will find prepossessing tops covered with snow. 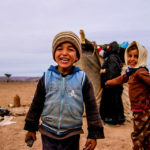 One of the best activities for those who love walking, hiring mules and camels and enjoy camping. 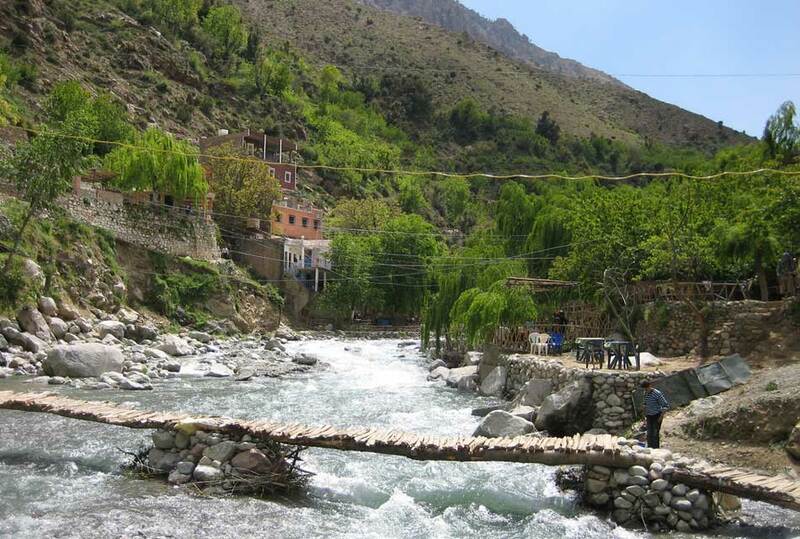 High Atlas Mountain provide many places in which you can practice this as deserts, lovely valleys and forests. One of dangers, but exciting, worthy sports that you can do. 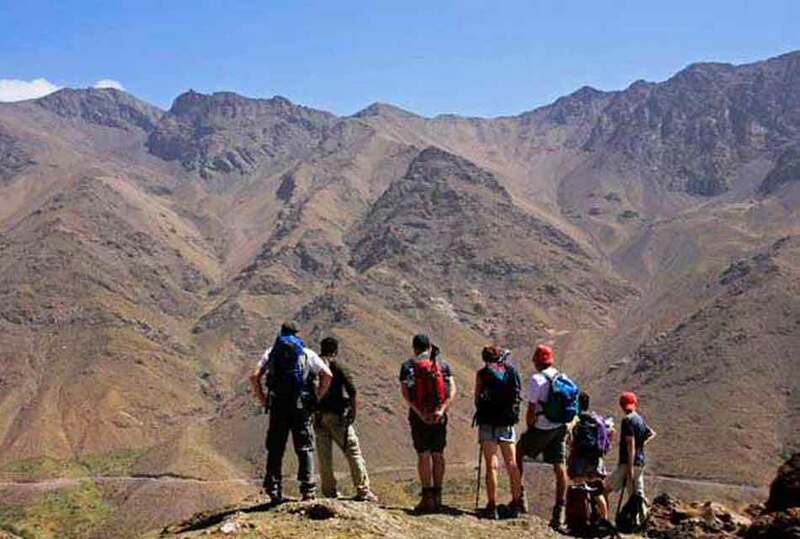 High Atlas provides many heights and hills on which you can do it. In addition, the dirt tracks and mule paths exist for this. There are many great restaurants where you can eat local food. What makes these restaurants special is the location. 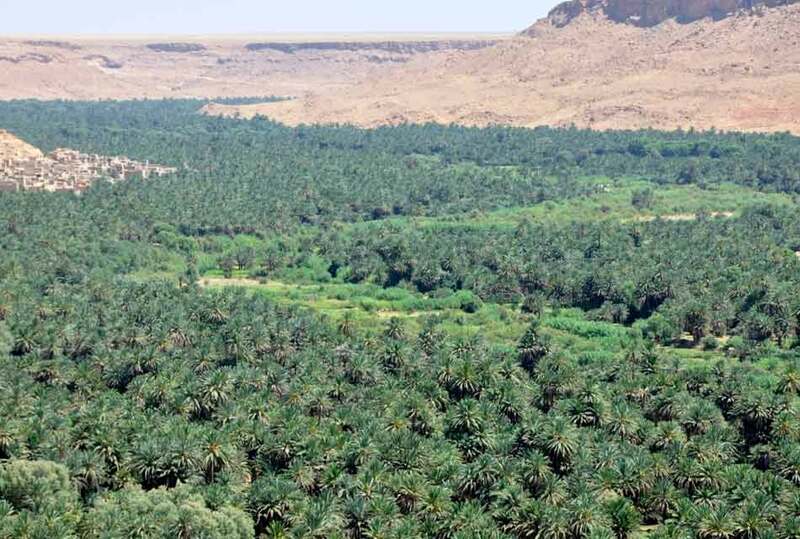 Some of them are in astonishing green valleys and forests. Some of them overlooks waterfalls, what amazing view worth to die for it! Some of them are on the top of the mountain that you must climb to reach. It is like a prize for those who succeeded in climbing the mountain. There are amazing hotels that ranked internationally, and great places to stay in. Provide five stars service and massages. Have you ever been there before? Have any one of your friends of family been there before?